This week will be very creative and you will make plans. Whether you talk about it or not, consequences may be interesting if you know how to take no chances! 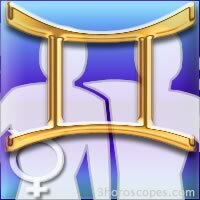 You have self-control thanks to Mercury and will do good business so that you can impose your ideas at work. Jupiter is in dissonance, and you will spend a lot of money and buy on credit while opportunities to get some money are rare.